A favourite of medical students and junior doctors this week for #xrayoftheweek: what can you see on this chest x-ray and what is the cause? There are multiple, bilateral, rounded soft tissue density masses on the chest x-ray. 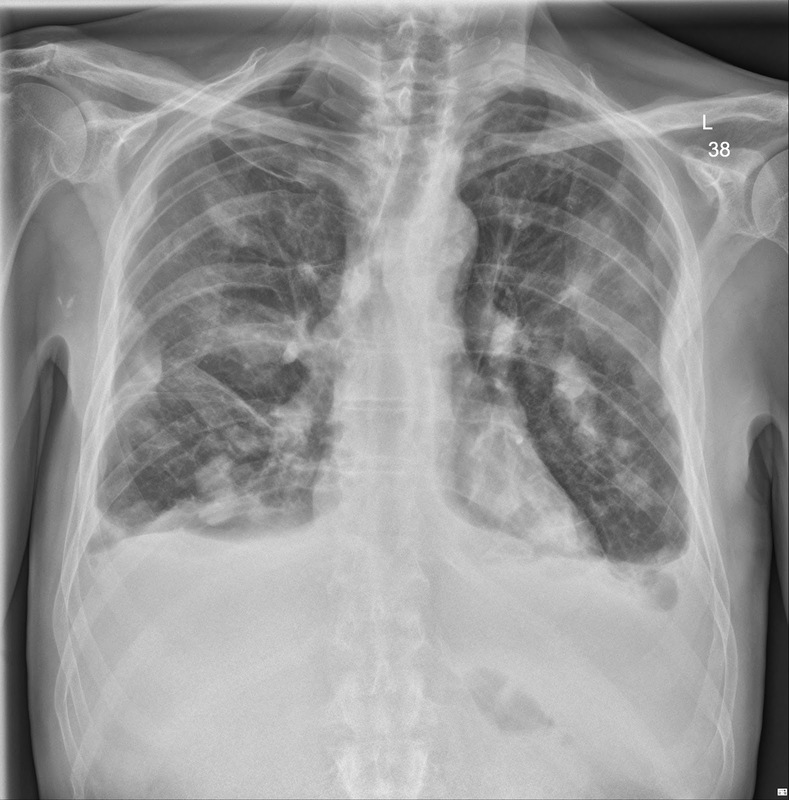 There are also moderate sized bilateral pleural effusions, but the mediastinum looks normal, and there are no obvious bony lesions. The pulmonary lesions have the look of cannonball metastases - the main differential for the causes is metastatic renal cell carcinoma and choriocarcinoma - other causes are much less common. 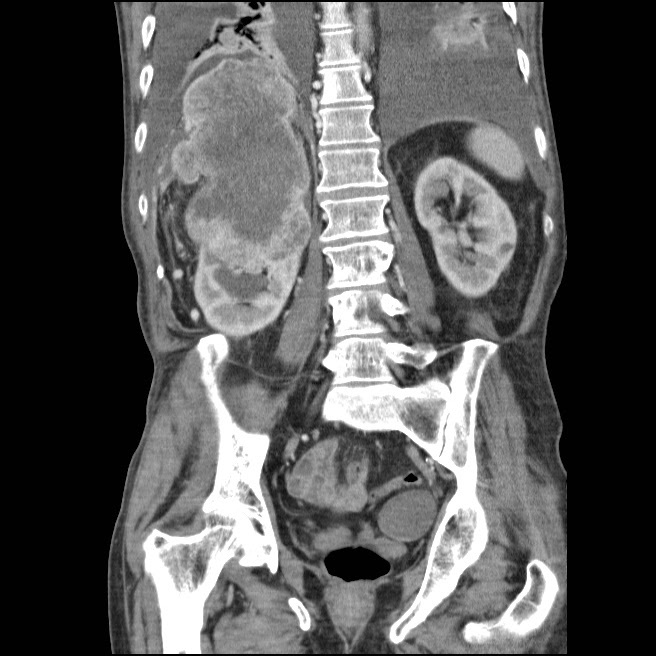 This shows a large right sided renal mass, later confirmed to be a renal cell carcinoma.